rous formation not productive of oil or gas. The applicant proposes to dispose of oil and gas waste into the Lower Edwards Formation, Jeff Moore -B- Lease, Well Number 4B. The proposed disposal well is located 10 miles Northeast of Lockhart, Texas in the Dale-McBride Field in Caldwell County. The waste water will be injected into strata in the subsurface depth interval from 2665 to 3000 feet. The purpose of the workshop is to present to the Board of Directors a proposed plan to revise the five Directors” Districts as a result of the 2010 decennial census. Following the workshop, the Board of Directors will hold a public hearing. The purpose of the public hearing is to receive public comment on a proposed plan to revise the five Director Districts as a result of the 2010 decennial census. All interested persons are invited and encouraged to attend the workshop and public hearing. El Consejo de Administración del Distrito del Condado de Gonzales metro de Conservación del Agua llevará a cabo un taller y una audiencia pública el jueves 27 de octubre 2011, inmediatamente después de la audiencia pública de solicitud de excepción, que se celebrará a las 5:30 pm, en la Sala de Comisarios, de Gonzales Palacio de Justicia. El objetivo del taller es presentar a la Junta Directiva una propuesta de plan de revisión de los cinco distritos de Administración como resultado del censo de 2010 decenal. Después del taller, el Consejo de Administración celebrará una audiencia pública. El propósito de la audiencia pública es para recibir comentarios del público sobre una propuesta de plan de revisión de los Distritos Director cinco como resultado del censo de 2010 decenal. Todas las personas interesadas están invitados a asistir al taller y audiencia pública. The City of Lockhart is accepting annual supply bids for approximately 40, 000 gallons of unleaded plus gasoline and 26, 000 gallons of No. 2 dyed diesel fuel. A minimum of two-thousand five hundred (2,500) gallons would be ordered at any given time. The price of fuels may increase or decrease based on the weekly average Oil Price Information Service (OPIS) price published each Thursday from the Austin, Texas, Rack. The amount designated as the supplier”s profit margin per gallon must include delivery and must remain the same during the term of the contract. The contract term will be for one year from the date of approval by the City Council. Bid award may be separate for each fuel. Required forms for bid submittal are available from the Public Works Office at 705 Wichita Street during normal business hours. AN ORDINANCE OF THE CITY OF LOCKHART, TEXAS, AMENDING THE OFFICIAL ZONING MAP OF THE CITY OF LOCKHART, TEXAS, TO RECLASSIFY THE PROPERTY KNOWN AS PART OF LOT 3, BLOCK 48, ORIGINAL TOWN OF LOCKHART, CONSISTING OF 0.242 ACRE LOCATED AT 403 WEST SAN ANTONIO STREET (SH 142), FROM RHD RESIDENTIAL HIGH DENSITY DISTRICT TO CLB COMMERCIAL LIGHT BUSINESS DISTRICT. AN ORDINANCE OF THE CITY COUNCIL OF THE CITY OF LOCKHART, TEXAS, AMENDING CHAPTER 12-31, CONTRACTORS – LICENSE REQUIRED, SUBSECTION (C)(6), OF THE CITY OF LOCKHART CODE OF ORDINANCES TO REQUIRE THAT A CURRENT AND VALID SURETY BOND ACCOMPANY CONTRACTOR LICENSE APPLICATIONS, BOTH NEW AND RENEWALS, PROVIDING A REPEALER; PROVIDING FOR SEVERABILITY; PROVIDING FOR PENALTY; PROVIDING FOR PUBLICATION; AND PROVIDING AN EFFECTIVE DATE. The complete ordinance may be viewed at the City Secretary”s Office, 308 West San Antonio Street, Lockhart, Texas, during normal business hours of 8:00 a.m. until 5:00 p.m., Monday through Friday. 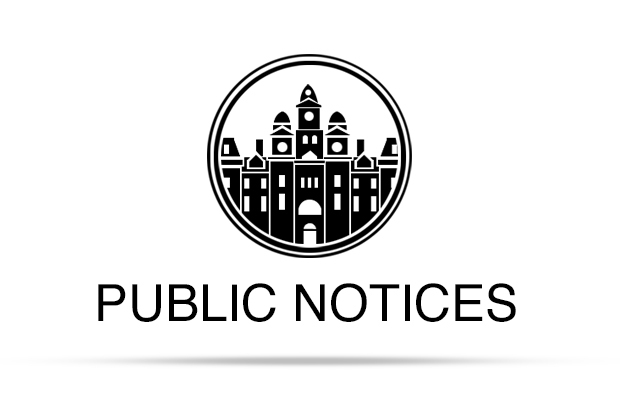 A “Notice to Bidders” is issued for the construction of airport improvements at the Lockhart Municipal Airport to: rehabilitate and mark Runway 18-36, rehabilitate and mark Taxiways, rehabilitate aprons, and update signage. Sealed proposals need to be addressed and delivered to Attn: Airport Rehabilitation Project, Lee Weatherford, Director of Public Works, Lockhart City Hall, 308 W. San Antonio, Lockhart, TX 78644. Proposals will be received until 2:30 PM, October 27, 2011. Proposals will be publically opened and read in the Glosserman Room of Lockhart City Hall. Bidders may view and obtain plan sets, free of charge, from Plans Online http://www.txdot.gov/business/contractors_consultants/plans_online.htm. Or bidders may buy plan sets from the Reproduction companies that are listed on the website. Technical questions concerning the specifications and plans should be directed to Grayson Cox, KSA Engineers, Inc., at 512-342-6868. For other information please visit the Aviation website, http://www.txdot.gov/business/projects/aviation.htm or call Beverly Longfellow, TxDOT, Aviation, at 512-416-4516. CENTEX STORAGE LOCKHART PURSUANT TO THE PROVISIONS OF CHAPTER 59 OF TEXAS PROPERTY CODE, SHALL CONDUCT A PUBLIC SALE OF THE CONTENTS OF THE STORAGE ROOM(S) LISTED BELOW IN LOCKHART, TEXAS, TELEPHONE # 512-398-2870 ON THE DATE BELOW TO SATISFY A LANDLORD”S LIEN. ALL SALES WILL BE FOR CASH TO THE HIGHEST BIDDER. ALL SUCCESSFUL BIDDERS SHALL TAKE POSSESSION AND REMOVE THE CONTENTS OF THE ROOM IMMEDIATELY. CENTEX STORAGE RESERVES THE RIGHT TO REJECT ANY BIDS AND TO WITHDRAW ANY ITEMS FROM SUCH SALE. CONTENTS CONSIST OF: Desk, Toy box, Entertainment table, (3) Bows & (1) Arrow, Old typewriter, Ice chest; 2 VCR”s. Pet/Child”s gate, crib, treadmill, old barber”s chair, luggage, mattresses, dresser with mirrored vanity, table saw, floor jack, old sewing machine, cedar chest, stereo, ladders, paintings, miscellaneous totes and boxes. Kenneth E. Engledow, in the above numbered cause filed an Application for Appointment of Permanent Guardian of the Person and Estate, of the said RICHARD CHARLES ENGLEDOW, an Incapacitated Person, an Adult and “Proposed Ward”. Said application will be heard and acted on by said Court at 10 o”clock A.M. on the first Monday next after the expiration of ten days from date of publication of this citation, at the County Courthouse in Lockhart, Texas. All persons interested in said person and estate are herby cited to appear before said Honorable Court at said above mentioned time and place by filing a written answer contesting such application should they desire to do so. The officer executing this writ shall promptly serve the same according to requirements of law, and the mandates hereof, and make due return as the law directs. ISSUED UNDER MY HAND AND THE SEAL OF SAID COURT at office in Lockhart, Texas, this the 26th day of September, 2011.